Since Casino night 2019 was canceled, we are auctioning the items that were raised here and at the home games listed and the spring play on flyer. If you wish to bid on an item, reply to that item’s picture here on Facebook with bid amount. 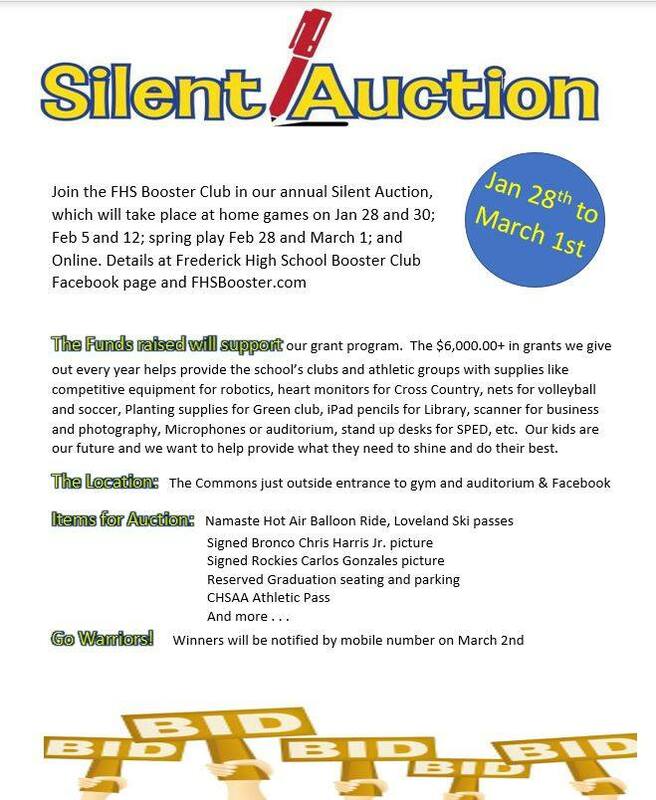 Or you can make an anonymous bid by texting me at 303-517-9380. Or bid on paper at one of the home game events. We will update the highest paper bid of each item on the dates listed on flyer. Winners will be notified on March 2nd and will have 5 days to respond and coordinate delivery. Otherwise the runner up will receive prize. Thank you for supporting our Warriors! View our Facebook Page for images, starting bid and description of items!